Download "Minutes of the Free Market Protection and Privatization Board Thursday, November 14, :00 p.m. Room 20, House Building State Capitol Complex"
TEXAS STATE COUNCIL FOR INTERSTATE ADULT OFFENDER SUPERVISION MEETING MINUTES. 1:03 pm. CST. 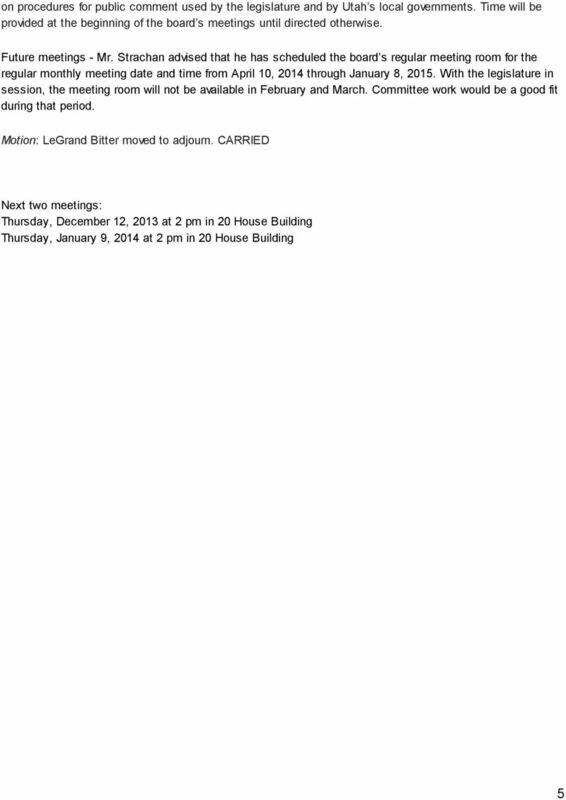 January 23, 2014 TEXAS STATE CAPTIAL, ROOM E1. 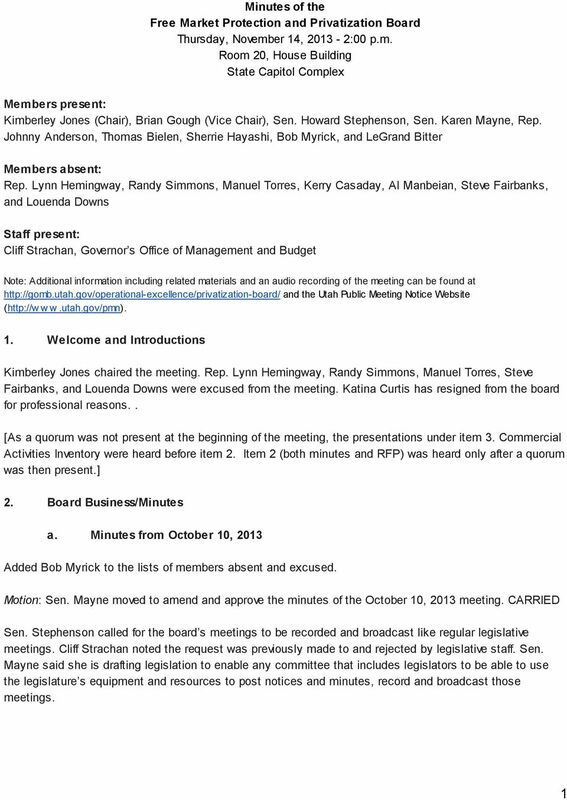 Work Group Legislative Date 11/13/12 Facilitator Milton Sanchez Time 9:00 a.m. MT Location Conference Call/ In Person Scribe Cicero Group Agenda Item Discussion Item Conclusion Action Item Attendees No. 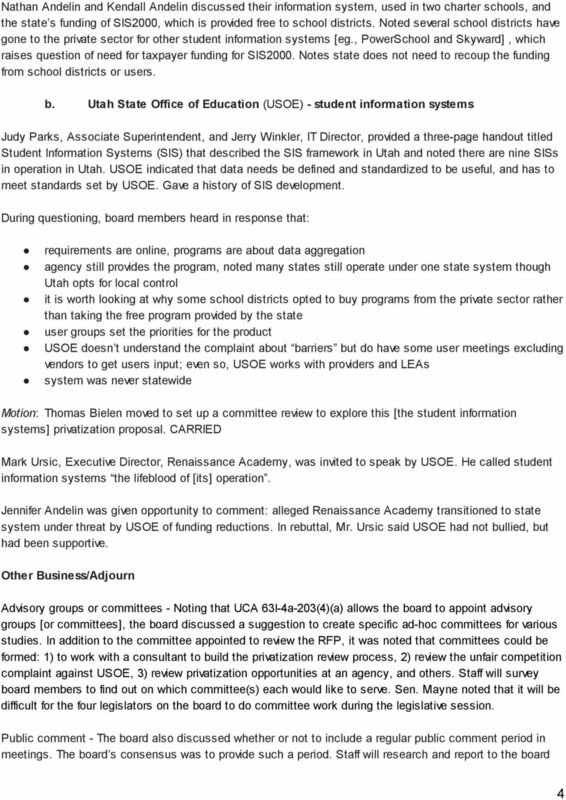 April 16, Opening Remarks and Review and Approval of February 2014 Executive Workshop Minutes. Dr. Laura Staton, Chair of the Board of Trustees called the meeting to order at 6:00 p.m. The Chair called the meeting to order and the opening exercises were observed. The agenda was approved as recommended by the Superintendent. CHARTER FOR THE HEALTH BENEFIT EXCHANGE AUTHORITY PREAMBLE ARTICLE I NAME. The District of Columbia Health Benefit Exchange Authority ( Authority). 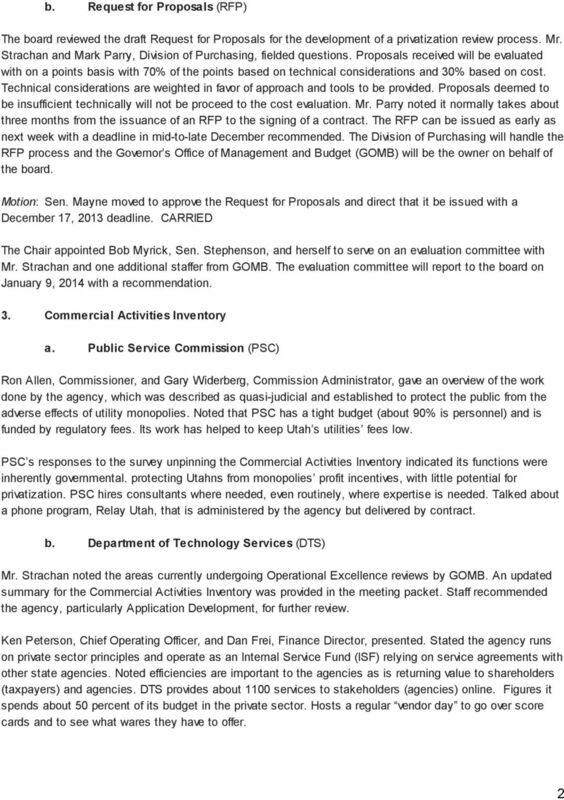 Review and approval of the minutes from the April 26, 2010 Regular Meeting. NORTHPORT BOARD OF EDUCATION REGULAR MEETING JUNE 8, 2015. The meeting was called to order by President, Tom Wetherbee, at 7:00 p.m.
1 PURPOSE 1.1 This Charter sets out the role and responsibilities of the Board of Broadspectrum Pty Limited (the Company), the principles for its operation and those functions it reserves or delegates. Administer Oath of Office to elected officials Mrs. Christopher administered the Oath of Office to Mr. Joseph Cornell, III and Sandra Antognoli.